There are 4 reviews of Vêpres Siciliennes. 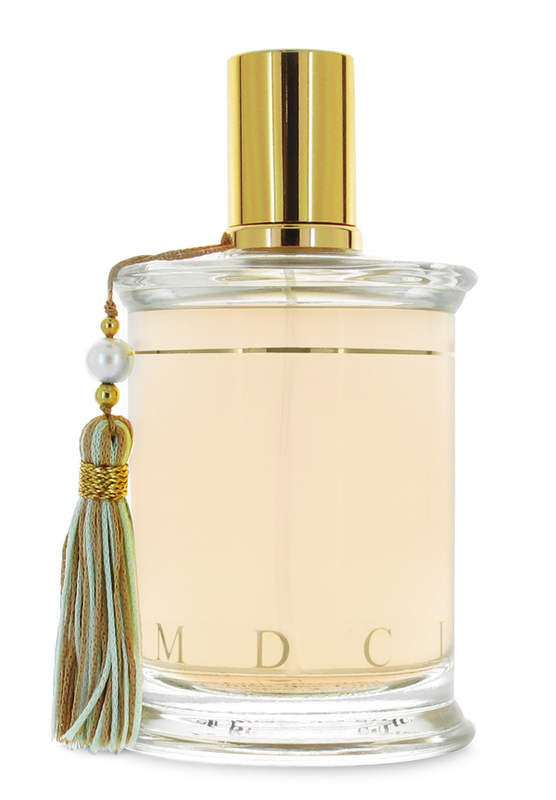 I experience this one as sort of one-third early Goutal meets two-thirds Esprit D'Oscar from Oscar de la Renta! I don't mean that it's bad, it's just as if somebody took the natural and excellent quality synthetic components that Goutal would choose for a summery frag, but chose five times as many of them, and then did them up in an ornate and proper lady composition in the style of a good 80s/90s Oscar de la Renta or Boucheron frag. It opens with a brief crunchy leafiness and grapefruit, almost like a bracing tomato leaf scent, but when you'd expect it to head further into Goutal territory from an opening like that, this massive floral thing happens that reminds me of the tuberose and heliotrope in Esprit D'Oscar. I have a love/hate relationship with Esprit D'Oscar and almost scrubbed this one off because it was in the same floral ballpark, but once I could focus on the cloves and osmanthus and maybe it's plum, I decided, yeah, this one IS good. I enjoyed the rest of the ride from there, which after all that wild action in the heart, coasts as a soft and gentle fruity chypre that's more in the relaxed, barely there manner of a Goutal again. A polite, but generic-smelling fruity floral that reads more as a white floral than anything. Relative sheer citrus notes hover above an expected soft vanilla base, and there’s a soapy feel that builds on the freshness. It’s a tad spicy and warm at first, but then it strikes a pleasing balance between fresh and comforting. Generic and dated-smelling, it’s pretty much dead after about 20 minutes. This is my favorite of the outstanding MDCI line, which apart from the mystifyingly dull Ambre Topkapi has yet to release a fragrance that is less than exceptional. Vêpres Siciliennes is an airy, slightly sweet floral with surprising heft and complexity, clearly made with outstanding raw materials. I've been wearing it for years and still find a new facet each time I smell it: the smoothly effortless rotation between fruity, floral, and woody notes is truly amazing. Beautiful, unique stuff. Despite 22 ingredients, it disappears after 30 minutes and the only effect is of a light version of ANGEL - sweet berries. A washout in my opinion. There are no member images of Vêpres Siciliennes yet. Why not be the first? Vepres Siciliennes by Parfums MDCI - Any thoughts?